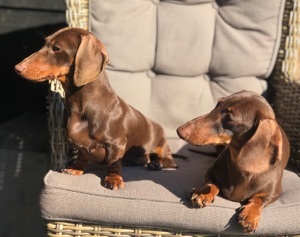 April 2019 Show debut for our little ones! 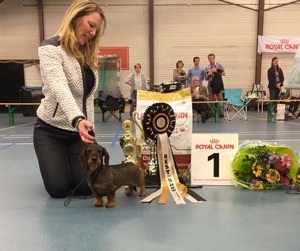 Dogshow Maubeuge FRANCE 2019, Katia (kw) Best of Breed, our little boy Choque (kw) BOS! 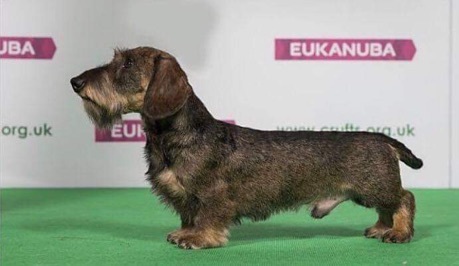 Dogshow Bale CROATIA 2019, Rushka Res BOS & Jils BOB and BIG 3! 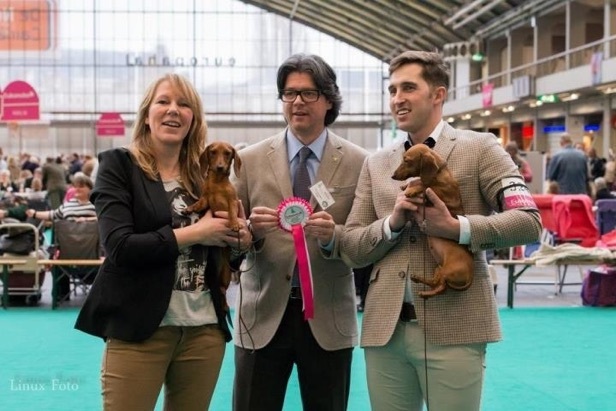 March 2019, Xylon uit ‘t Voortse Huys aka Robin CRUFTS 2019 BOB! So proud!! 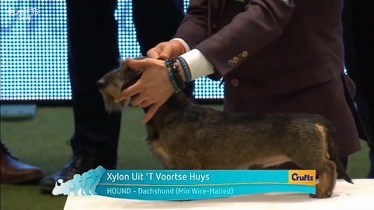 At the Crufts 2019, The Worlds greatest Dog Show, Robin (Xylon uit ‘t Voortse Huys) won Best of Breed out of 148 miniature wires entered! Robin is owned and loved by Peggy Guttierez-Otero. 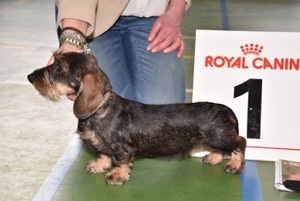 Feb 2019, New boy at Voortse Huys kennel. 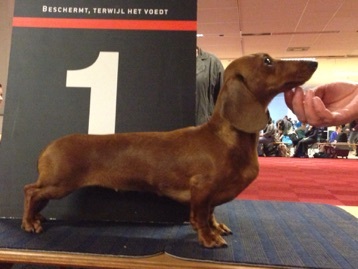 Icing on the cake Itaian Topolino at Voortse Huys kw, BOB and 3th Group placement. 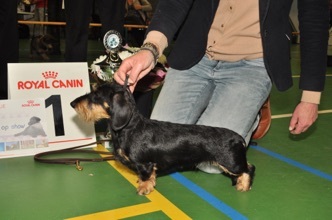 With this result he obtains the tittle Belgium Champion! 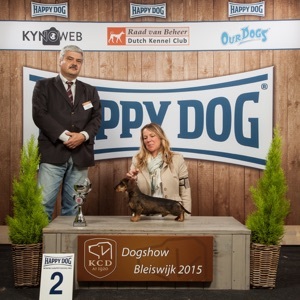 Italian Topolino (KW) finished his Dutch Championship and his Int. Show Champion title (several CACIB in 5 different countries). CH. Italian Topolino at Voortse Huys, JW’15, NJK’16, JWUT ’16, BISS’16, IT. Ch, WW ’16, EW ’16 & CIE! 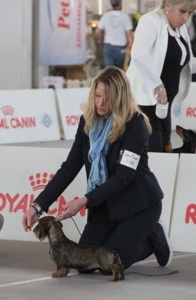 First time out for our “babies” and they did fantastic! 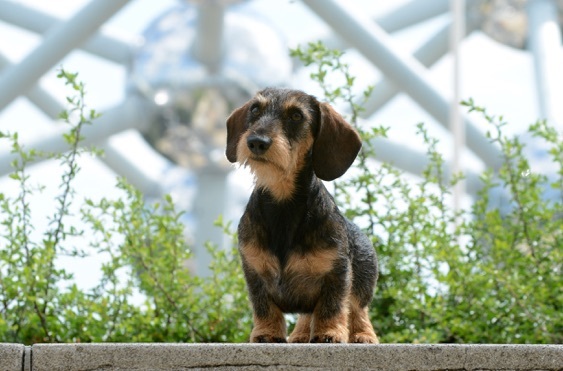 Xylon uit 't Voortse Huys (4 months) BIS puppy!!! And his sister Xing Xing uit 't Voortse Huys, super handled by Djanna, res BIS!! 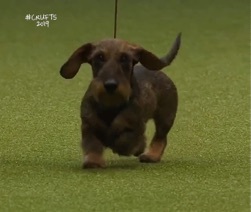 Out of 80 entried puppies! 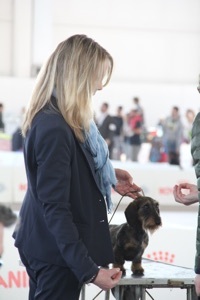 BISS Energy Elegance Cayenne JW’16 1st Youth class and BOS. BISS Energy Elegance Cayenne, JW’16 1st Youth Class, BOS & BOB! 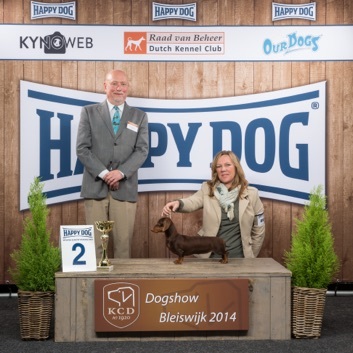 BISS Energy Elegence Cayenne obtained the title Junior Winster! Djanna behaalde met Cayenne een mooie 3 plaats bij de Junior Handling! The italian Star shines on! 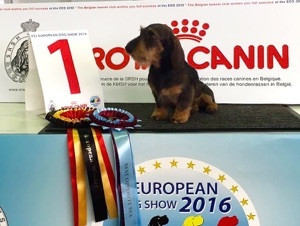 Een big success for my Italian star! We had a marvelous day! 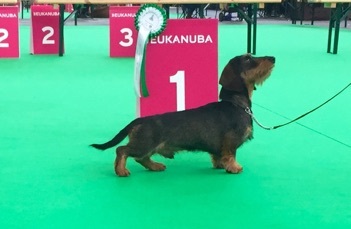 BOB / Clubwinner/ Best Own Breeding in show. 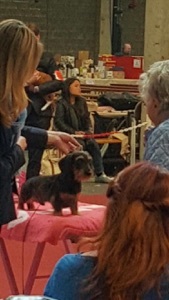 On top of all BEST IN SHOW!!! 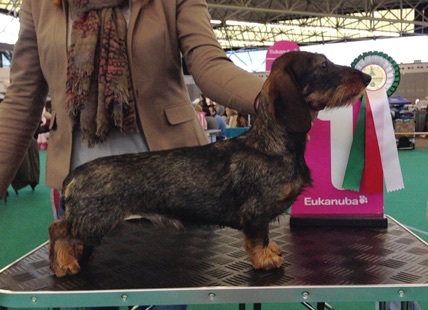 Italian Topolino BOB/Brabo Winner, BIG and BIS 4!!!! 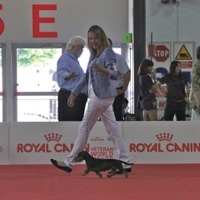 Campionato Sociale ABC Montichiari CAC, Club Champion, BOB and Best in Show!!! 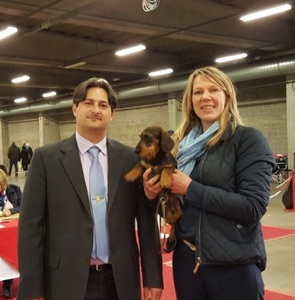 Italian Topolino BOB and obtained the title BeNeLux Youth Winner and Winner Belgium ’15 and again Crufts Qualification! 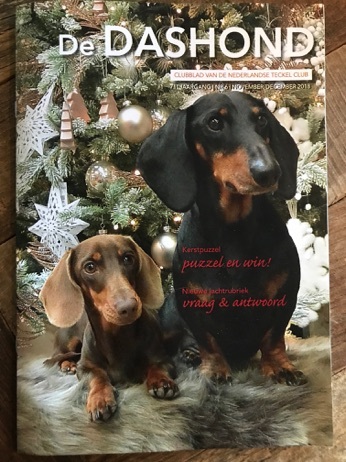 We had a lovely weekend in Amsterdam with Roberto and Valentina, the breeders of Topolino. Valentina and Topolino were a super team in the ring. 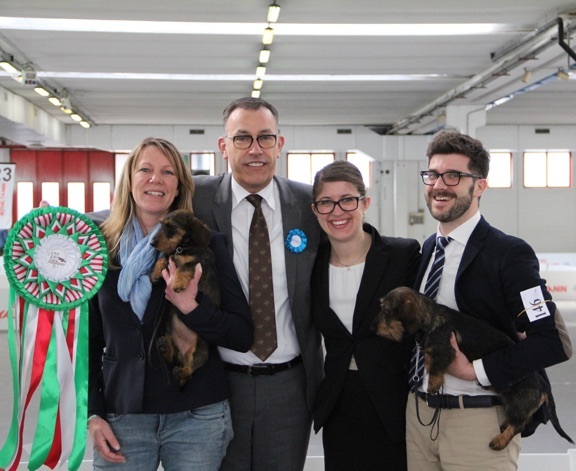 Italian Topolino obtained the title Youth Winner and Crufts Qualification! Italian Topolino did a super job! 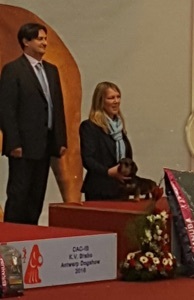 He got Best of Breed en Best in Group 2!! 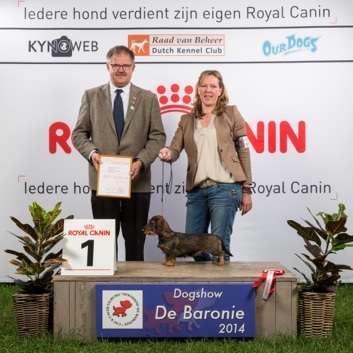 With this result he placed himself for Showdog of the Year and obtained the title Dutch Youth Champion! 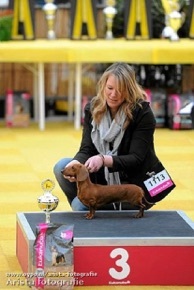 I'm very proud they did so well in this hard competition. 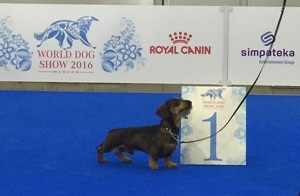 Puppy Hope World Winner 2015!! 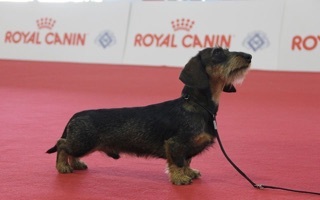 Swissking Loving Annabelle, JCAC, BOS, BOB and BIG 2! 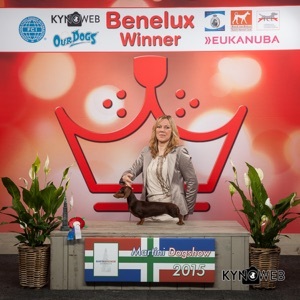 Swissking Loving Annabelle, JCAC, BOS, BOB and BIG 3! 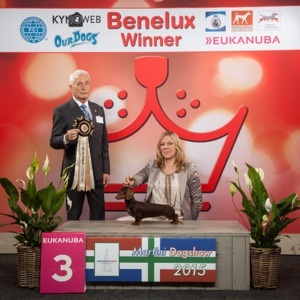 Gracias uit ‘t Voortse Huys Benelux Winner 2014 Lux, CACL, CACIB and BOS! Gracias uit ‘t Voortse Huys CAC, CACIB and BOS! Gracias uit ‘t Voortse Huys CAC, CACIB and BOB! She did it again, my little star! 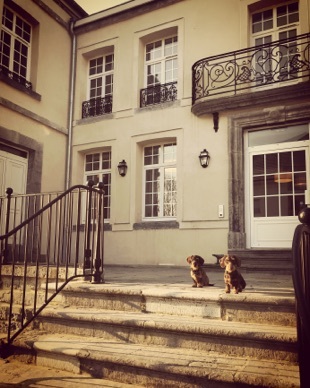 Luxemburg Youth Champion and Brabo Youth Winner, 4 times BOB, BIG 1 and BIG 3!! Gracias uit ‘t Voortse Huys Lux. 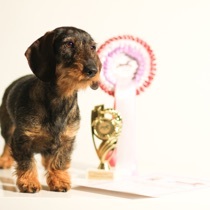 Youth Champion, BOS. 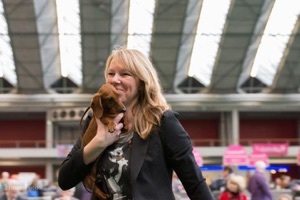 With this result she is Crufts qualified 2015!! JCAC, CAC, BOB and BEST of GROUP! 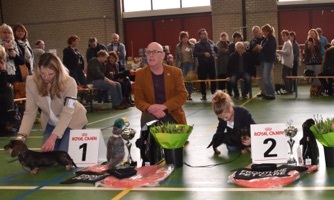 In 4 shows 2 tittles, NJK ’13 & Youth Winster ’13,and 3x BOB! 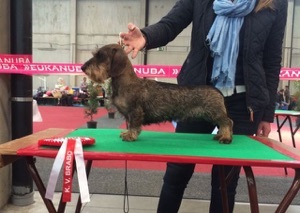 First dogshow of 2014 was a great success! 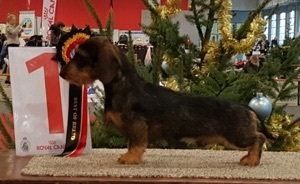 Cyberdachs Mini Unkas 1st Junior Class, JCAC and CAC! Magik Rainbow Gloria 1st Junior Class, BOS and BOB! Great show weekend in Amsterdam! 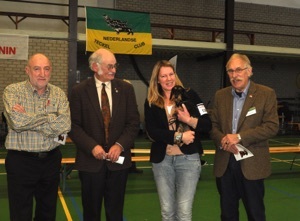 Gracias uit ‘t Voortse Huys JCAC, BOS, BOB! 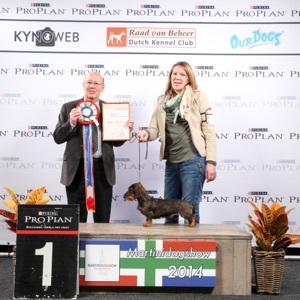 Gracias uit ‘t Voortse Huys JCAC, Res CAC, JEUGDWINSTER and Best Youth Dog! I’m so happy with these beautiful results! 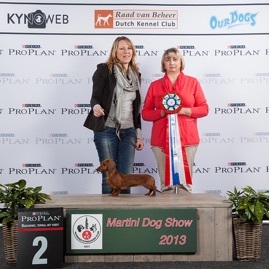 Gracias is in just 3 shows Netherlands Youth Champion 2013, twice BOB and JEUGDWINSTER 2013!! 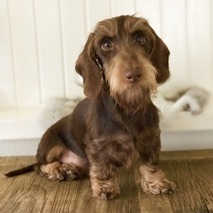 So proud, my first own bred Miniature Wirehair, Gracias uit 't Voortse Huys. 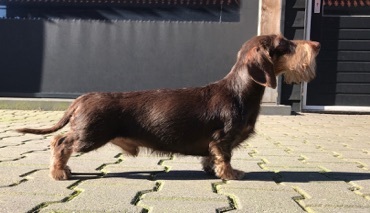 Descendant of Alpehartz Guanche x Filippa vom Altsiedlerhof. Int. 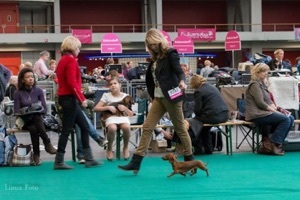 Dogshow Bleiswijk NL, first show JCAC, CAC & BOB! Alpheratz Guanche 1st place Champions class. 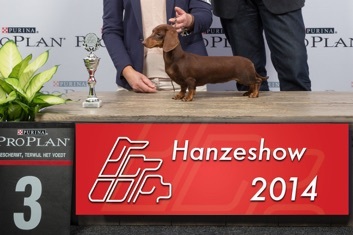 Only 12 months old and Youth Winner Dogshow Amsterdam, Dutch Youth Champion and already enough points for the Dutch Champion title. 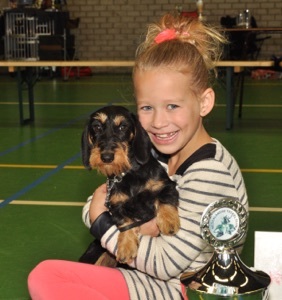 Teckelberry’s Erin was first in the Youth Class and BOS today at the Dogshow in Eindhoven. 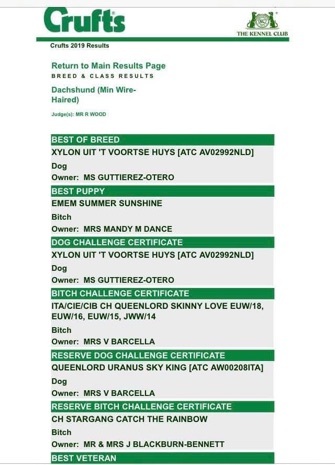 With this result she became Dutch Youth Champion in just 3 shows!! 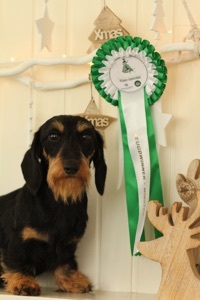 I’m very proud of my little girl. 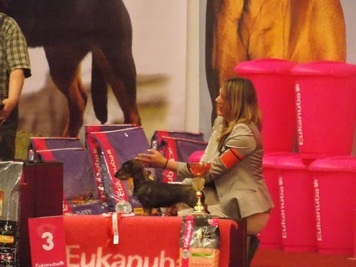 Teckelberry’s Erin became Junior Winster at the Winner Amsterdam. 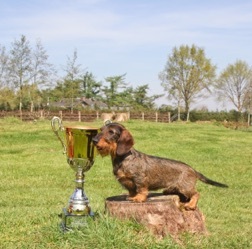 Alpheratz Guanche 2 place Champion class and Res BOS. 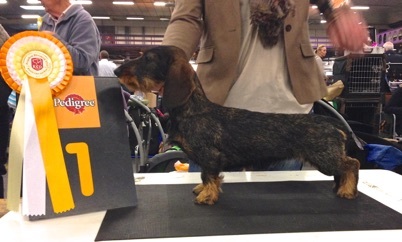 Gamit van de Mibaf’s Hoeve 3 Excellent Champion Class.